"Give me the one with the nail in it." 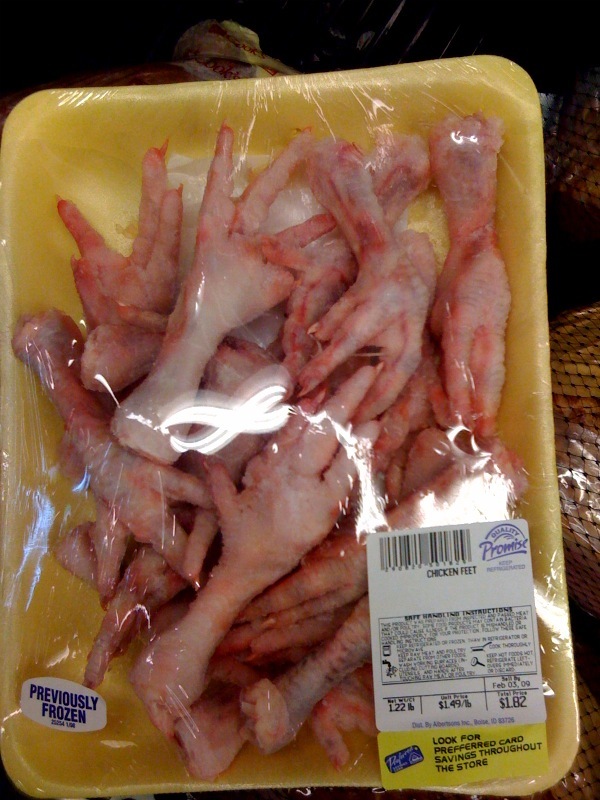 Oh, sorry that was pigs feet.The ones in the front look like they're shaking hands! And $1.82 for all those feet? I'm pretty sure gum costs more than that. Now that is a bargain. A bargain I tell you. The only question is what the hell do you do with them????? I know a place here in OKC where I can buy those from the counter not prepackaged. Of course, I can also buy cow uteruses in that store.